Last summer, Carson City Mayor Bob Crowell broke ground with Sierra Nevada ENT for their new location on the Carson Tahoe Hospital medical campus. The new SN ENT main office location will be open mid-April 19 after their move-in. The new building, located at 1493 Medical Parkway allows Sierra Nevada ENT to expand their services to the ever-growing population of Carson City and regional areas. “We’re excited to have a place of our own where we can provide state-of-the-art care for all of our Carson City and south Reno patients and hearing aid patients.” – Dr. Paul D. Manoukian. The project completed on schedule this month, March, 2019. 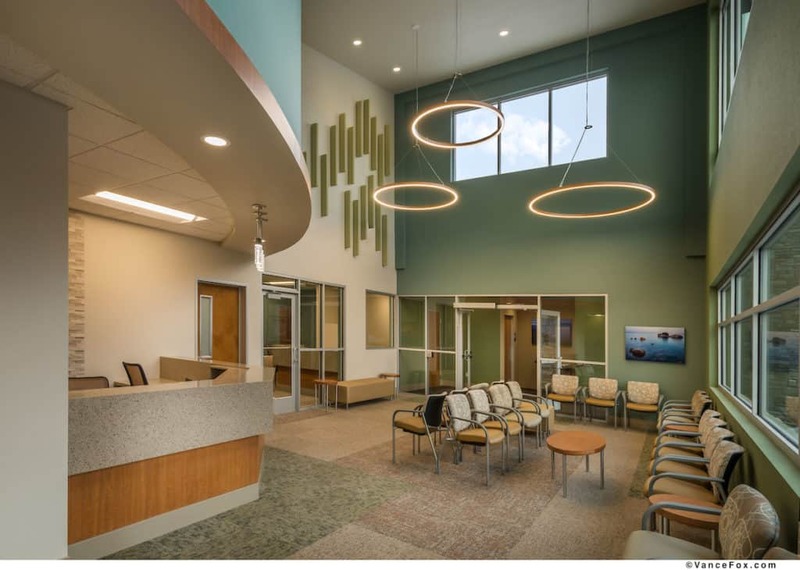 Wikoff Design Studio (WDS) worked with HMC Architects and General Contractor John Anderson of John Anderson Construction. WDS was responsible for the interior design and finishes along with the selection of the fixtures and furnishings. Working with a healthcare color palette for wellness, WDS featured biophilic artwork featured from Healing Images. See more photos and project details.